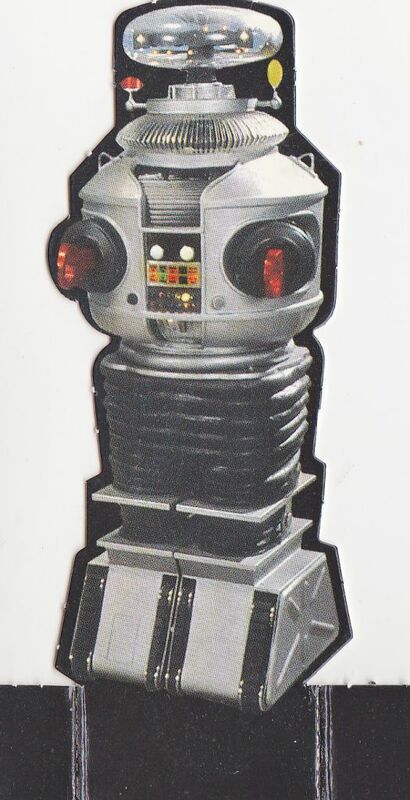 A mini cutout standee of Robot B-9 from the classic TV series Lost in Space. Originally issued in 1997 by, Slow Dazzle Worldwide. Cutout stands approx. 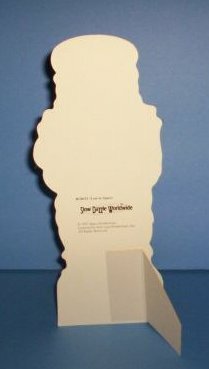 10 inches high. Black & white image of the Robot. (*) Photo #3 was free inside the Inkworks box set!